Colour Collection's Lip Therapy* | Vanity and Everything in Between. I've actually had this since last year. I used this immediately because I like lip balms like that. I don't like my lips chapping. However, the lip product fell off from its tube so I had to stop using it for one week and put in in the fridge. Actually, I stopped bringing it with me after that incident. I only use it now every morning before I leave for work. Yes, the fridge is its home now! 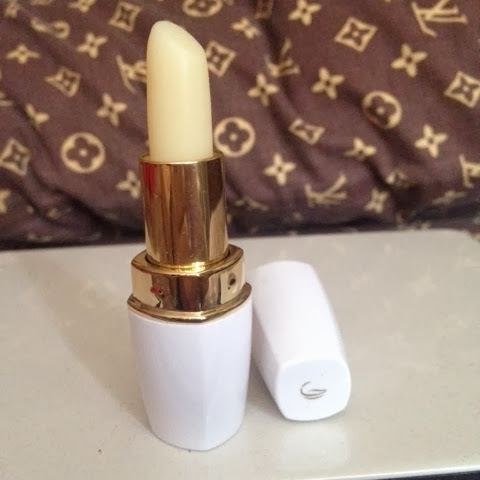 The first time that you see this product, you'd think it's a lipstick with a white shade (yes, there's a white lipstick). But when you open it, that's when you'd know it's a lip balm in lipstick form. I just find that so amazing. What makes this lip balm different from the other lip balms is that it doesn't have salicylic acid. 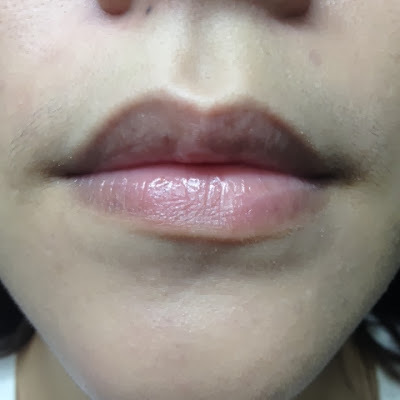 I only found out from Bianca Valerio that most lip balms have salicylic acid to make your lips chap even more so you'd finish it and buy another one. Very clever, aye? That's not the case for the Lip Therapy though. Instead, it contains Argan Oil to really soften and moisturise your lips. 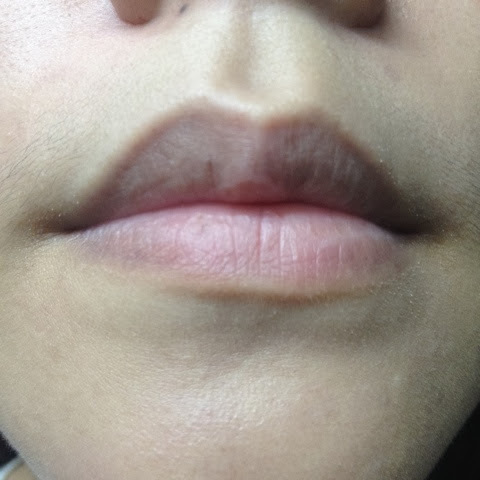 Here's a photo of my bare lips. I don't have chapped lips now but you can tell it's a bit dry. Now, here's a photo of me wearing Lip Therapy. It gave my lips a tad gloss. Honest to goodness, my lips stays moisturised for about 6 hours. I don't even feel the need to re-apply unlike with other lip balms. So, if you ask me if I love this product, it's definitely a big YES! Eventhough my first tube broke thus not being able to put it in my makeup bag, I still love this product. 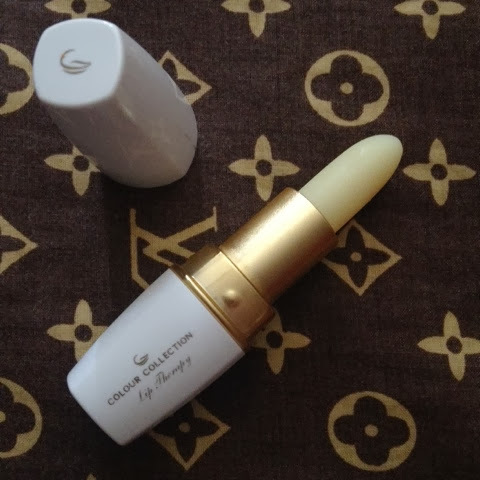 The lip product is softer than a lipstick so it has a great tendency to soften and melt. I was actually worried that I will have a hard time getting my hands on this because it's not widely available. Colour Collection is only available through a dealer/direct sales(? ), so you have to know one to buy one for yourself. Thankfully, Colour Collection was kind enough to give Lip Therapy to bloggers last Saturday. Now, I have two! I'd rate this product a 10 if not for the fact that it's not available at leading department stores. But nonetheless, this is really worth a try! Summer is always here and your lips better be soft and moisturised all the time! Let me know if you've tried this and if you like it! yay! it works wonders ms gem! i miss you blog posts!